Complete Pool will help you bring your ideas to life by listening to you and your needs. We will assist you as well by showing you some of the pool construction we have done in London. After viewing some pools we will design and custom build your swimming pool with all the features agreed upon including water features, salt water systems, pool equipment, coping options, heaters, lighting and walk in steps. 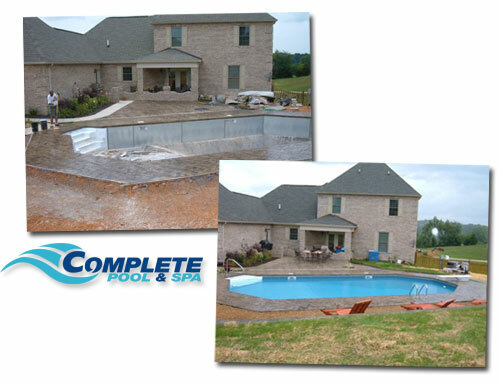 Complete Pool offers the highest quality products available in The Pool Industry with excellent warranties. QUALITY WORKMANSHIP AT REASONABLE PRICES!!!!! Just take a look at our Photo Gallery! Contact Us for a FREE pool consultation. Click here for our Inground Liner selection.